"Wine Spectator" has rated the wine "Byron Nielson Santa Maria Valley Pinot Noir, California, USA" from the vintage 2013 on 30.09.2016 with 87 of 100 points. "Wine Enthusiast" has rated the wine "Byron Nielson Santa Maria Valley Pinot Noir, California, USA" from the vintage 2013 on 09.01.2016 with 94 of 100 points. "Wine Enthusiast" has rated the wine "Byron Nielson Santa Maria Valley Pinot Noir, California, USA" from the vintage 2014 on 09.01.2016 with 89 of 100 points. "Vinous Antonio Galloni" has rated the wine "Byron Nielson Santa Maria Valley Pinot Noir, California, USA" from the vintage 2013 on 01.08.2015 with 87 of 100 points. "Wine Enthusiast" has rated the wine "Byron Nielson Santa Maria Valley Pinot Noir, California, USA" from the vintage 2012 on 12.01.2014 with 92 of 100 points. "Wine Enthusiast" has rated the wine "Byron Nielson Santa Maria Valley Pinot Noir, California, USA" from the vintage 2011 on 12.01.2013 with 88 of 100 points. "Vinous Antonio Galloni" has rated the wine "Byron Nielson Santa Maria Valley Pinot Noir, California, USA" from the vintage 2009 on 01.11.2012 with 90 of 100 points. "Wine Enthusiast" has rated the wine "Byron Nielson Santa Maria Valley Pinot Noir, California, USA" from the vintage 2009 on 03.01.2012 with 87 of 100 points. "Wine & Spirits Magazine" has rated the wine "Byron Nielson Santa Maria Valley Pinot Noir, California, USA" from the vintage 2008 on 01.04.2011 with 90 of 100 points. 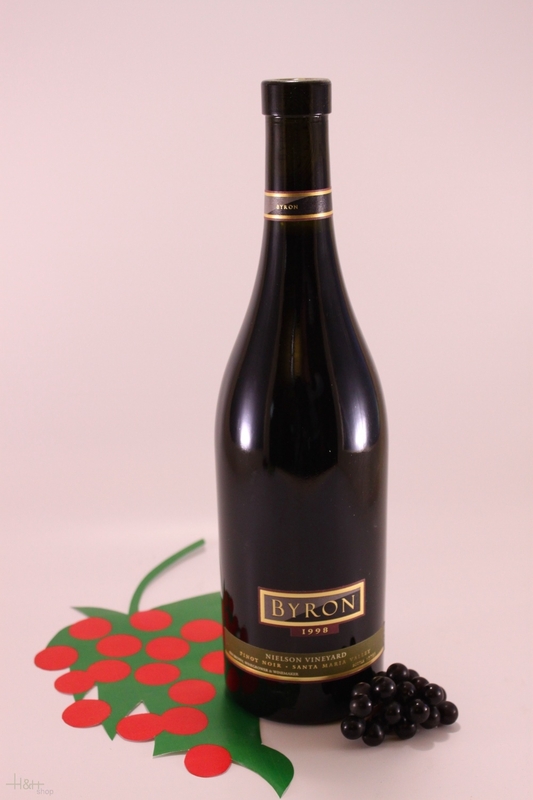 "Wine & Spirits Magazine" has rated the wine "Byron Nielson Santa Maria Valley Pinot Noir, California, USA" from the vintage 2007 on 01.04.2010 with 87 of 100 points. "Wine Enthusiast" has rated the wine "Byron Nielson Santa Maria Valley Pinot Noir, California, USA" from the vintage 2008 on 11.01.2010 with 96 of 100 points. "Wine & Spirits Magazine" has rated the wine "Byron Nielson Santa Maria Valley Pinot Noir, California, USA" from the vintage 2006 on 01.04.2009 with 87 of 100 points. "Wine Enthusiast" has rated the wine "Byron Nielson Santa Maria Valley Pinot Noir, California, USA" from the vintage 2007 on 10.01.2009 with 93 of 100 points. 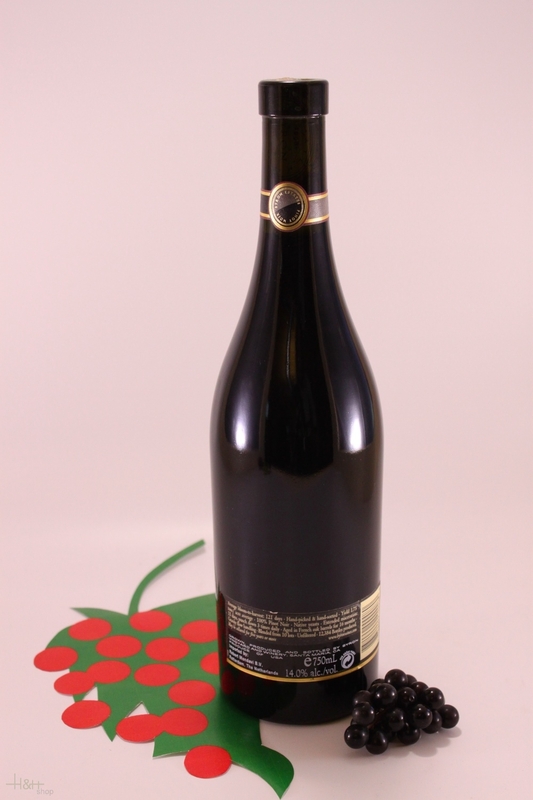 "Wine Enthusiast" has rated the wine "Byron Nielson Santa Maria Valley Pinot Noir, California, USA" from the vintage 2006 on 05.01.2009 with 92 of 100 points. "Wine Spectator" has rated the wine "Byron Nielson Santa Maria Valley Pinot Noir, California, USA" from the vintage 2005 on 30.04.2008 with 88 of 100 points. "Wine Spectator" has rated the wine "Byron Nielson Santa Maria Valley Pinot Noir, California, USA" from the vintage 2003 on 15.06.2006 with 88 of 100 points. "Wine Enthusiast" has rated the wine "Byron Nielson Santa Maria Valley Pinot Noir, California, USA" from the vintage 2003 on 07.01.2006 with 92 of 100 points. "Wine Spectator" has rated the wine "Byron Nielson Santa Maria Valley Pinot Noir, California, USA" from the vintage 2002 on 15.10.2005 with 88 of 100 points. "Wine Spectator" has rated the wine "Byron Nielson Santa Maria Valley Pinot Noir, California, USA" from the vintage 2001 on 15.09.2004 with 92 of 100 points. "Wine Enthusiast" has rated the wine "Byron Nielson Santa Maria Valley Pinot Noir, California, USA" from the vintage 2000 on 12.01.2004 with 89 of 100 points. "Wine Spectator" has rated the wine "Byron Nielson Santa Maria Valley Pinot Noir, California, USA" from the vintage 1999 on 31.07.2002 with 87 of 100 points. "Wine Enthusiast" has rated the wine "Byron Nielson Santa Maria Valley Pinot Noir, California, USA" from the vintage 1999 on 10.01.2002 with 90 of 100 points. "Wine Enthusiast" has rated the wine "Byron Nielson Santa Maria Valley Pinot Noir, California, USA" from the vintage 2002 with 94 of 100 points.